Palm Bay Campus Pastor, David Fitzgerald, baptizes Maria Cruz during Baptism Weekend. Five people gave their lives to Jesus across both campuses over the weekend. 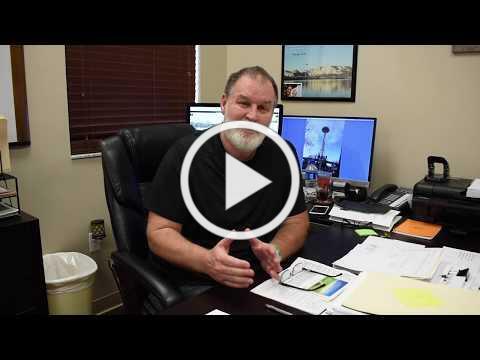 If you have considered accepting Jesus, but aren't sure if you're ready, pastors at Tomoka are always ready to help you make that important decision. Our Palm Bay campus is excited to be a part of the first cold night shelter to open in Palm Bay, which opened on Nov. 27. Dinner and breakfast are served to anyone who needs a warm place to stay on a cold night. The cold shelter opens up any night the temperature drops below 45 degrees Fahrenheit. Palm Bay Campus: Movie Night Under the Stars is coming up at 5:30 p.m. on December 5. 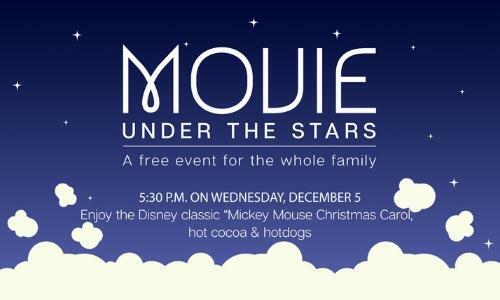 Bring a blanket and join us as we kick off the Christmas season with Mickey's Christmas Carol and some hot cocoa. 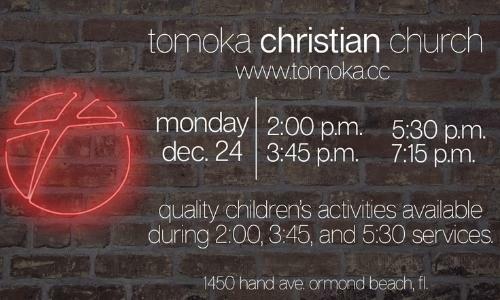 Tomoka will also provide hot dogs for everyone who comes out. 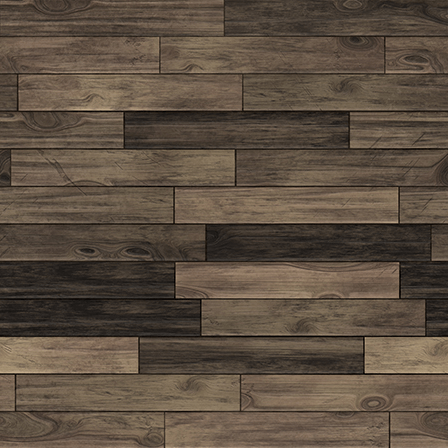 Don’t miss this perfect opportunity to enjoy a night out with the entire family. Ormond Campus: Are you looking for a way to connect with other women at Tomoka? 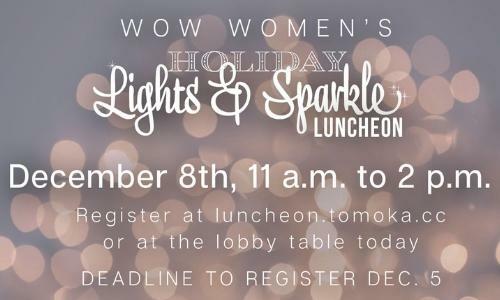 If so, attending the Holiday Lights and Sparkle Luncheon is the perfect option for you. This $10 event, located in the Chapel, is a wonderful way to get to know other women at Tomoka. A meal will also be catered by D.B. Pickles. If you would like to attend, be sure to register no later than Dec. 5. 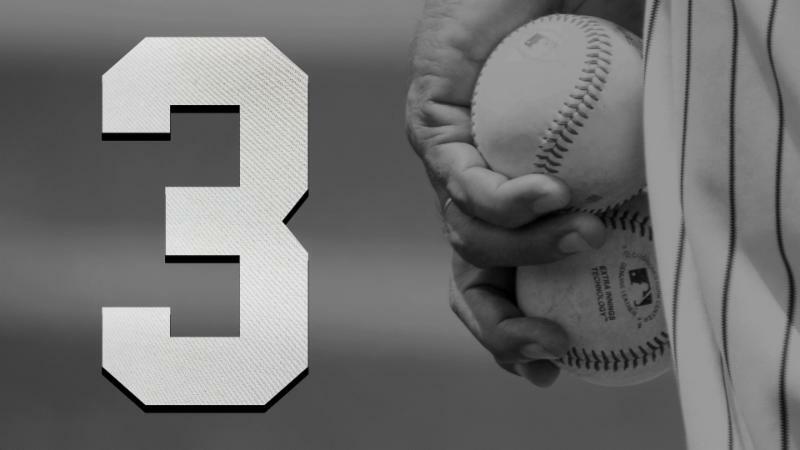 This weekend, Pastor Joe will continue discussing John Chapter 3. Read John 3:31-36. Saturdays 6:30 p.m. | Sundays 9:30 and 11:30 a.m.
Tuesdays 10:30 a.m. | Wednesdays 6:30 p.m.
Sundays 10:30 a.m. | Wednesdays 6:30 p.m.